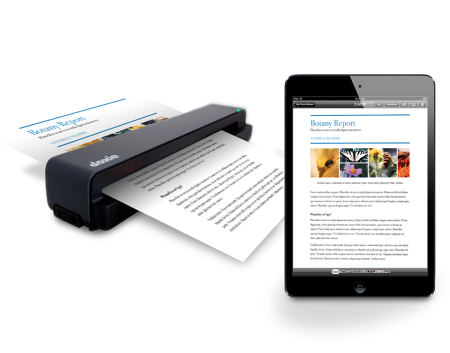 Apparent Corp. is promoting the latest addition to its Doxie line of scanners as a way to scan documents that’s both paperless and personal, the latter descriptive due to the fact it can be used with mobile devices rather than just desktops. The new Doxie One scanner is paperless because it allows users to scandocuments and save them as searchable PDFs, store them in the cloud(Dropbox and Evernote integration is included) and then share them thatway too. The Doxie device requires an SD card (included with the device) to scandocuments which can then be sent to your iPad, PC or Mac. The Doxie One will ship late this month for $149. Take a look at thisvideo to see it in action.